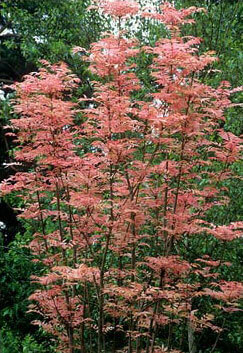 This is a very tall and thin trunk deciduous tree which has the most fantastic pink leaves in the Spring. It is one of Jess's favourites as it announces for him the real start of Spring. Because of its height, it can be seen from afar. Excellent as a copse tree. In the late Spring the leaves turn yellow before they turn green in Summer. They then turn yellow again in the Autumn before they drop off. A wonderful tree that brings joy into a garden. Height to 8m. Width to 4m.